The sixth edition of the Mirabaud Yacht Racing Image welcomed 135 professional photographers spanning 29 countries and generated an exceptional selection of images. Nikos Zagas (GRE) won the main award, whilst the delegates from the Yacht Racing Forum chose Rick Tomlinson's photograph for the «Public Award». A special mention was awarded to Brian Carlin (IRL). No less than 38’555 votes have been taken into account whilst more than 1,4 million pages have been viewed on the event’s website. The viral spread of the images on Facebook is spectacular, and can be estimated in millions. Based in Piraeus, next to Athens, Nikos Zagas has always had an interest in sports and especially water sports. He opened his own photography studio in 1992 and began sailing in 1996. He is now the official photographer of the biggest and most important regattas in Greece. « I am very honored to win this prize, above all with so many professionals and experienced photographers in this contest », said Zagas. « I feel fantastic, this prize is a big recognition for my work. The Mirabaud Yacht Racing Image is the most important sailing photography contest, thanks to the support of Mirabaud and the organization of MaxComm ! » Nikos Zagas won the prestigious Mirabaud Yacht Racing Image award, a stunning watch Zenith El Primero Chronomaster 1969 and €1’000 prize money. Rick Tomlinson won the «Public Award», awarded by the delegates from the Yacht Racing Forum in Geneva out of the twenty pictures preselected by the public on Internet, thanks to his picture of Team Brunel sailing past Cape Horn. « This picture wasn’t taken by chance, it was a big work thanks to the Volvo Ocean Race team, my colleagues that came with me to the Cape Horn and Team SCA », says Rick with a lot of emotion. He also received a €1’000 prize money and a Nespresso Coffee Machine. 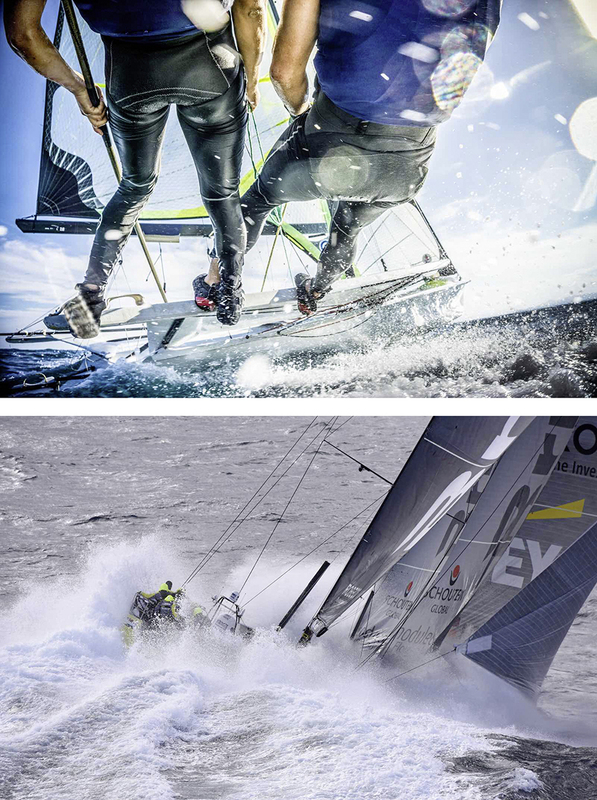 « The winning pictures illustrate in their own way, through angles or specific situations, the tight link that unites the sailors to the power of the sea. The quality of the images submitted, their originality, and the emotions they generated made it very difficult to make a choice amongst the 135 photographers », said Antonio Palma, CEO of Mirabaud & Cie, the event’s main partner.